Click on any of the items below for more information. First go to www.nsp.org. Login to the website with your six digit member ID and password. You should immediately set the large selection button for Voting. If not, select Member Services then it should show. NOTE: the site has trouble working with IE, so please use another browser, such as Chrome to avoid issues. Start voting! For more information about all individual candidates for the board, Board Candidates. Can you pay annual Dues online? Yes! The Pay Dues area of the website (under Members) is available for you to pay online. The amount charged will be $15 for local/regional dues. When you go to pay dues area, click Add to Cart in #1, then go right on to click the shopping cart button. On that next screen you will see that your payment item was added. You also have another step to complete your dues payment for the year as part of your registration with NSP. 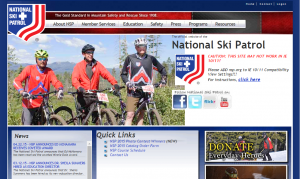 Go to nsp.org and log into your member services area. At the top of the page it will say “Hi,” and your name. Click on that to open your personal account page. On the left side you will see a button to Pay Dues. This will cover your national $55 and central division $13 dues portion (as of 2018/19). What if we have a Medical - Air Care Flight? The procedures for handling an incoming Med Flight is available here. Landing Beacons are stored in the First Aid Offices (top shelf next to AED). Be sure that you are familiar so that you will be prepared if the situation arises. How do I change my email or address? To change your personal information that appears on the roster there are now two steps: First, email your information to Cheryl R to get our MRM patrol website updated. Second, follow the instructions as listed below to make your change on the national database, which will be immediately reflected. 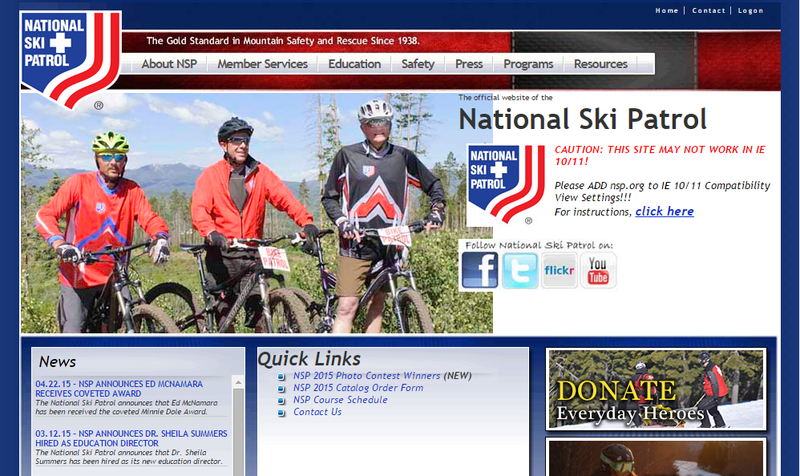 Log into www.nsp.org The Logon link is in the upper right corner. You will need your six digit member ID (which is listed on our Mad River roster) and your password. If you don’t remember your password you can request a re-set to be emailed to you. 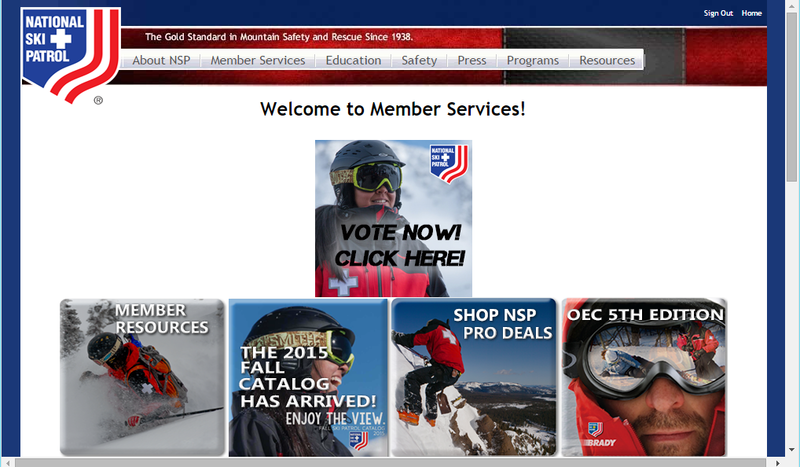 Next select Member Resources (picture button on lower left); once selected, your personal information should appear in a listing. If you don’t see it yet, you can also try selecting Update Member Profile from the Quick Links that are listed lower on this same Member Services Page. Once on your individual member page, there are several pages where you can click on the little Edit pencil and make your changes. From the profile page you can change your email, your address, your nsp password. I want to buy my own radio - what now? Check out this link Radio Information to find out everything you need to purchase your own radio, or to better use the area owned radios. You will need to enter the patrol password to access the page. How can I call the Patrol Room from my cell phone? What are the Senior Electives? The Senior Program requires candidates to meet several requirements by area, plus have taken some of the elective programs to round out their senior resume. A Senior Patroller must have four, a Senior Alpine must have a minimum of three. The list of all currently approved electives can be found on the nsp.org website under the Policy and Procedures Manual, in Appendix G. and in the national Senior Program manual. Approved electives listed as of Jan 2016 follow. Each division has the option to require one of the following electives for its members. These electives represent the approved education* and leadership** credentials. a) Education Courses i. Instructor Development; ii. Mountain Travel and Rescue Fundamentals or Mountain Travel and Rescue 1; iii. Mountain Travel and Rescue 2 (required for Senior Nordic candidates); iv. Introduction to Avalanche Safety and Rescue; v. Standard or Level 1 Avalanche, or Level 1 Avalanche for Rescue Personnel; vi. Level 2 Avalanche for Rescue Personnel; vii. National Avalanche School didactic sessions; viii. National Avalanche School field sessions; ix. Skiing Enhancement Seminar; x. Ski Trainer’s Workshop; xi. Toboggan Enhancement Seminar; xii. Toboggan Trainer’s Workshop; xiii. OEC Enhancement Seminar (two modules equal one Senior elective); and xiv. Patroller Education Conference. b) Leadership Courses i. Patroller Enrichment Seminar; ii. NSP leadership module; iii. NSP instructor status (any discipline); iv. 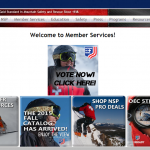 NSP instructor trainer appointment (any discipline); v. Professional Ski Instructors of America (PSIA) or American Association of Snowboard Instructors (AASI) Certified Level II or higher; and vi. BLS CPR instructor or instructor trainer certification (American Heart Association, American Red Cross, National Safety Council, American Safety and Health Institute, or Medic First Aid). c) Division Optional Electives i. One elective may come from a list of approved division electives. The division director or a committee appointed by the division director shall have the option of reviewing educational programs available within the division and determining if they should be accepted for Senior elective credit. Each elective must be an educational course that enhances the student’s ability to perform ski patrol duties, must be at least eight hours in length, and must be taught by a credentialed instructor. The applicable national education program director must accept content by submitting the appropriate form for NSP Education Committee approval for each elective before holding the class. Where do I find out more about becoming a Senior? Where should my friend go to find out more about being on the patrol? If you know of someone that in interested in patrolling, send them to our website! 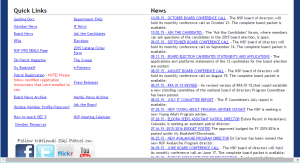 They can get lots of information under the MRM Patrol Info area of the website. Be sure to check the FAQ area for answers to all sorts of questions about responsibilities, requirements and benefits. Then if they are interested in a ski along to consider taking the next step, you can find a sign up sheet as well as Candidate Application under the Contact Us area.